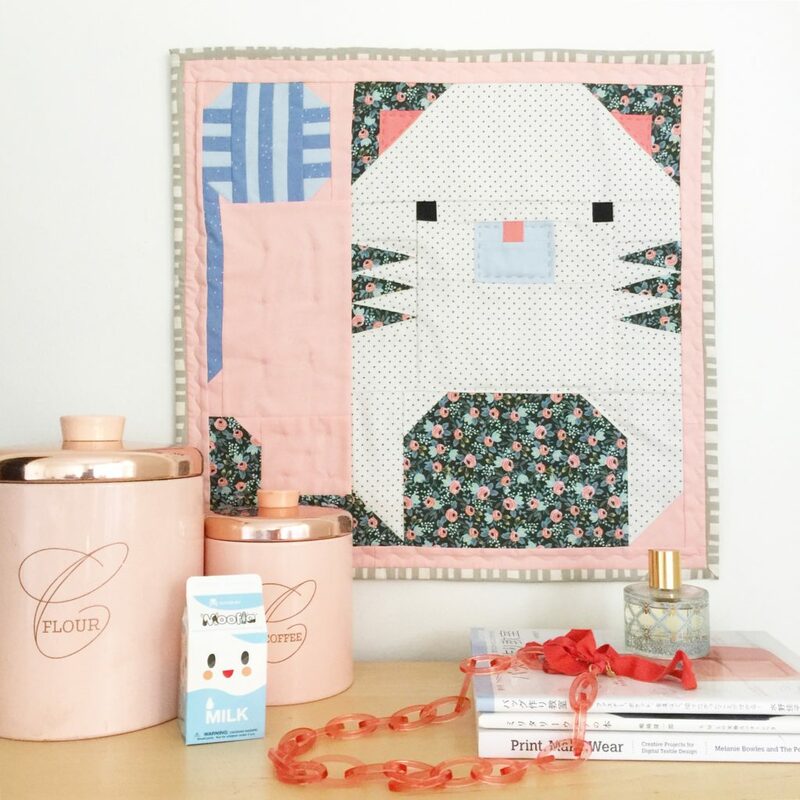 Make your own cute mini quilt wall with these three mini quilt patterns. 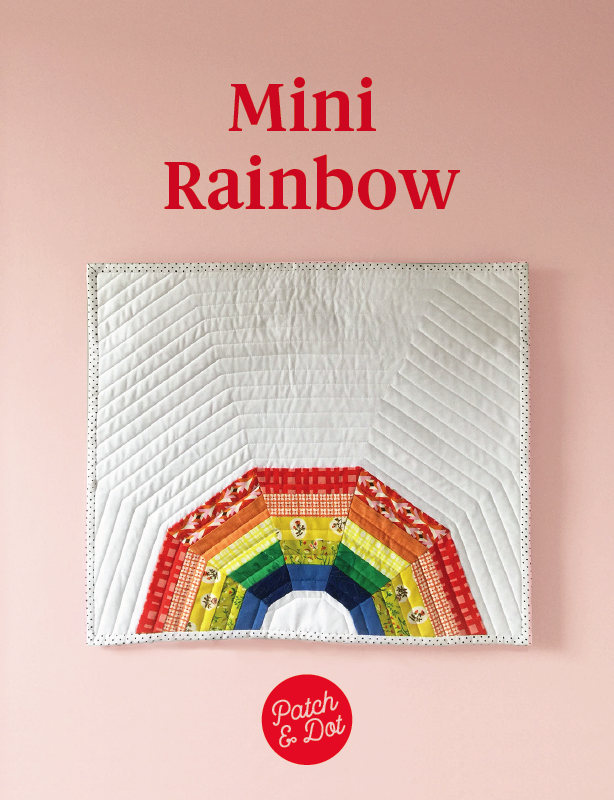 I’ve been making lots of mini quilts lately, so I thought it might be a good idea to pause and share some of these with you, since all have turned out to be good projects for beginners. 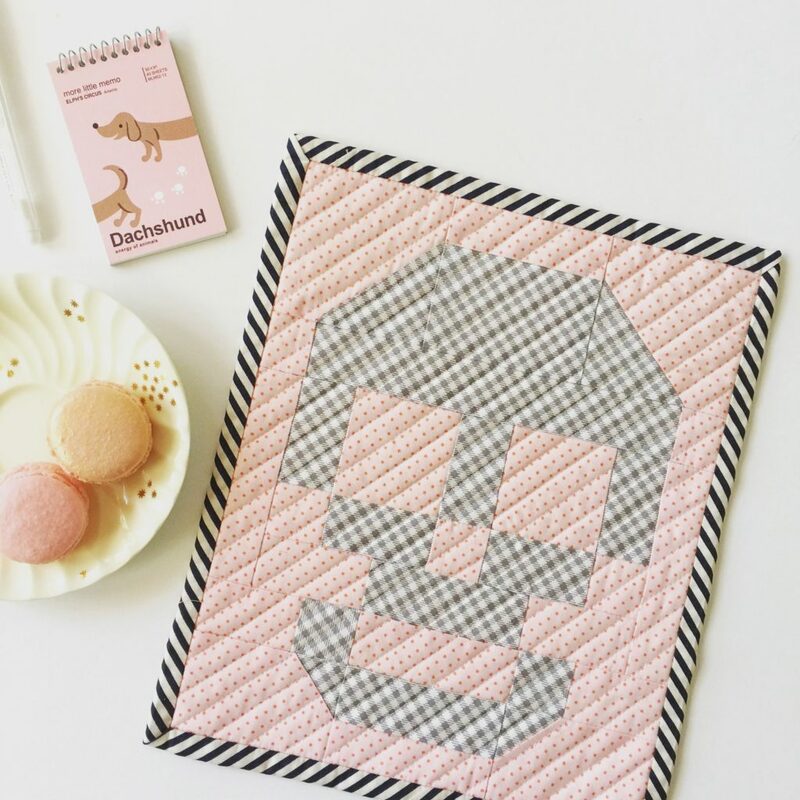 Kirsty over at Bonjour Quilts has created this really sweet and simple Skull Patchwork Block. I am 100% confident recommending this one for beginners. It’s really well thought out, with just a couple of flip and sew angles using larger squares (so, not too fidget-y). 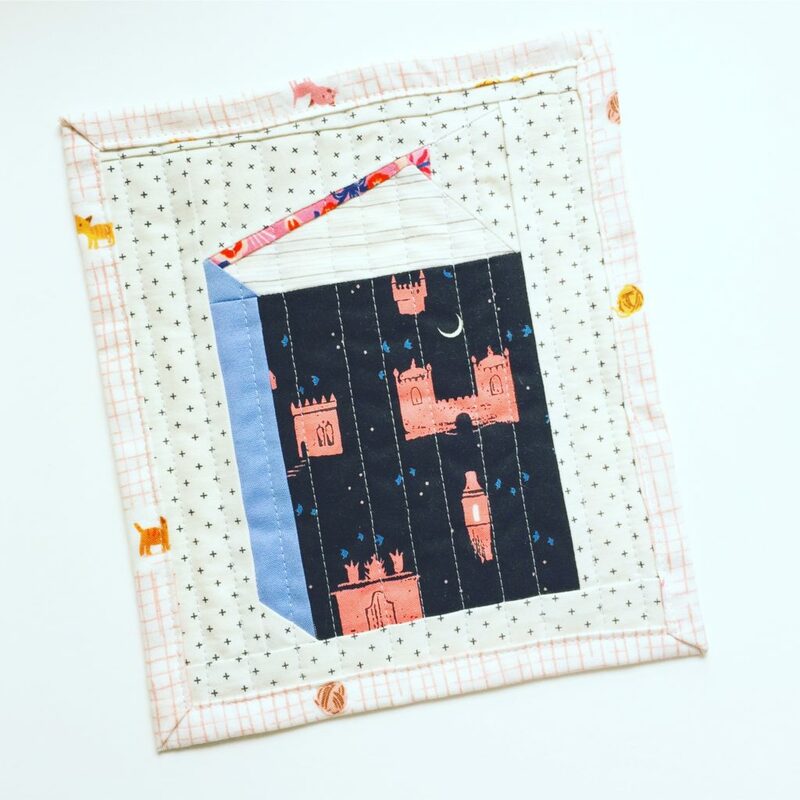 I turned my block into a mini quilt (pictured above), using all fabrics from Amy Sinbaldi’s “Les Petits” fabric collection from Art Gallery Fabrics. 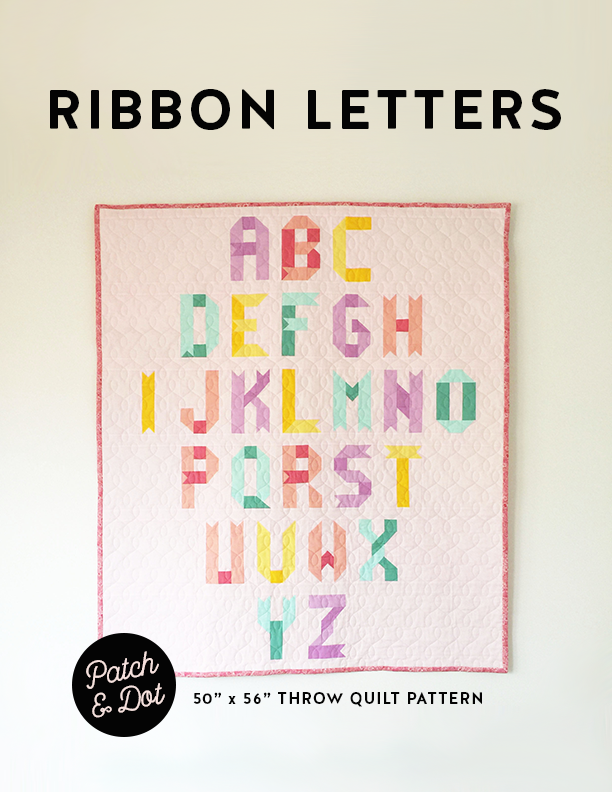 This one is such a fun modern mini quilt pattern, I can’t tell you! 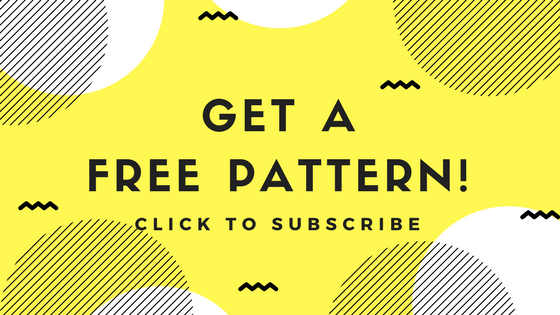 Lindsey over at Pen and Paper Patterns is the designer. Originally part of the Modern Quilter’s Box, it will be available from Lindsey’s shop in late November. I made my version (below) in all Cotton and Steel fabrics, as a single block, but the pattern also includes instructions for a larger wall hanging or baby quilt, using four blocks and a border. Be sure to check back next week (or subscribe to the newsletter) as I’ll have some tips for sewing mini quilts. That’s awesome Sarah, can’t wait to see your version! I am pretty sure once my nieces see this I will have two more on my to-do list (^_^).